On the way home from this Thanksgiving weekend in Michigan, I finally reached my limit with the situation in my closet. For the last four years it’s become bigger and bigger mounds of….clothing. Just as I get the closet organized, it becomes a mess yet again. Being a recovering financial advisor, I loathe messes. Everything should be in neat and tidy rows, not thrown on the closet floor. Sometimes–not often enough–I’d find a piece that definitely had to go. Whenever I brought home new clothing from holidays or trips to the mall, old stuff stacked up. The “donation” pile contained a lonely piece or two. 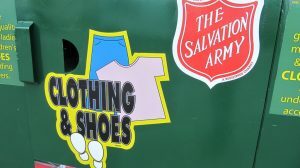 I was adding clothing at a 2:1 rate over donations. It was so easy, I can’t believe I hadn’t seen it earlier. Clothing decisions (and by extension “stuff” in general”) isn’t about whether I like each “thing” or not; of course I loved them all. I wouldn’t have bought them if I didn’t like them. They all had sentimental value AND my mind needed to justify the reason I’d added them to my collection in the first place. In short: using my current criteria, there was no way I’d ever clean out the closet. In my a-ha moment, I flipped my thinking: the closet wasn’t a place to store all the cool stuff I wanted to keep. It was a place to store things I needed. How much did I really need? Sunday was a bloodbath in my closet. I tore everything out and placed it on the floor. I was making Top 10 lists of each type of clothing. Soon I was at the difficult portion: there were pieces I liked, but they didn’t make the Top 10 (or 5, or whatever….). At this point it didn’t matter how much I liked the shirt: there were enough pieces for me to wear without it in my closet. Better to gift it to someone who really needs it this holiday than to keep it sitting in my closet with 10+ items I’d rather wear. I created a gigantic mound of clothing to donate. Itemized Charitable Donation Deductions: Bonus Time! If you itemize your taxes, you are probably eligible for charitable donations to 501c3 organizations. 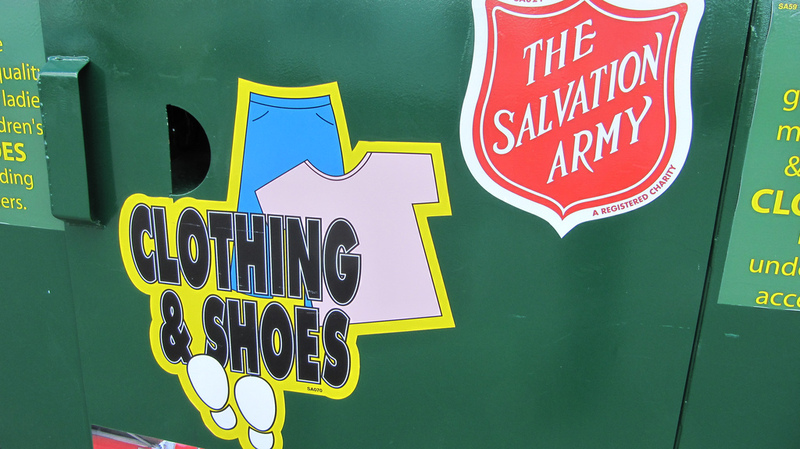 If you aren’t sure whether the place you want to donate clothing is a 501c3, just ask them. They’ll know. If your organization is eligible and you itemize deductions on your taxes, you may be able to write off your charitable contributions. I received a receipt at Goodwill that listed all of the items I’d donated to them. 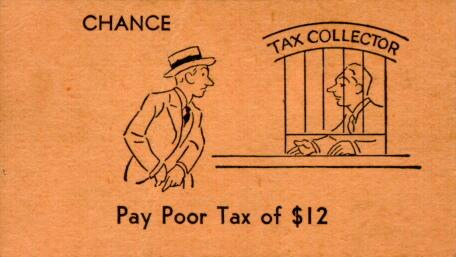 I’ll use this at tax time next year. I’ve learned this lesson 100 times and still continue to struggle with it daily. Don’t get caught in one line of thinking about a problem….especially nagging ones like cleaning out a closet. Turn the question around. Search for a better answer. Scour the web for strategies….soon you’ll have a clean closet, better decisions and possibly tax deductions! What are you waiting for? Go clean out that closet and cha-ching on the tax deductions!!!! What system do you use for weeding out old clothes you still love but should probably chuck? Whew! You’ve filed your taxes…or did you? Most of America now have the 2011 tax year “in the books” so-to-speak…but what happens if you…ahem…’forgot’ to file? What should you do? First of all, let me exclude all those who, like me, filed an extension. If you filed an extension, your taxes are due no later than October 15, 2012, but the tax bill (any money still owed to the government) was due yesterday. An extension to file is just that: an extension to file, not to pay. If you filed an extension and didn’t pay, but think you may owe money, it’s best to pay as soon as possible to avoid more penalties. What happens if you just didn’t file? You didn’t file an extension, you didn’t file anything. What now? Most professionals would recommend that you get filing done as soon as possible. If nothing else, print out form 4868 and file for an extension. Step 1: Determine the reason you didn’t file. Was it because you didn’t receive a form you needed? Or, was it due to laziness? Perhaps apprenshension? Do you owe money and don’t know what to do? Acknowledge why it happened and move on. If you were lazy, get out your calendar and schedule a couple hours to work on them. If you’re scared of the taxes you owe, work on filing the appropriate tax forms first, then worry about the bill. Step 2: Call your accountant, CPA, or other tax preparer and get in their schedule for when they return from vacation. It’s likely they’re headed out of town to enjoy a much-needed vacation, but they have plenty of time available in May. Call today and get your appointment scheduled. What about doing them yourself? Listen: You’ve had 4 months to get them done on your own. Acknowledge that you won’t do it if you have 400 months and hire someone. Step 3: Set aside a 30-90 minutes to gather your tax-related documents and throw them in an envelope for your tax meeting. Don’t think about it – just put stuff in the envelope. Accountants will have more time to spend with you after they get back in May. Don’t know if you should include that form? Yes, you should. Step 4: Make sure you attend your tax appointment. I know this sounds obvious, but hey, it’s been since January and you haven’t got them done. You’re not the best time manager. Commit to attending this meeting. Step 5: Begin 2012’s tax planning now. Go to Office Max or Staples and buy a box of manila envelopes. Every week, go through your paperwork and put the necessary receipts in this month’s envelope. By the time taxes roll around next winter, you’ll be 90% done. 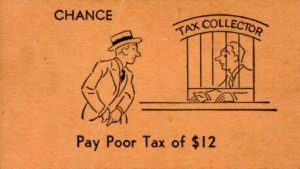 Remember, it’s a criminal offense to not file your taxes. Not being able to pay them is civil. Don’t be a criminal. This is a guest post from Eric at Narrow Bridge Finance as part of the Yakezie Blog Swap. This week, we are discussing the topic “Best Tips for Your Taxes.” You can see my post on the same topic at Eric’s site. 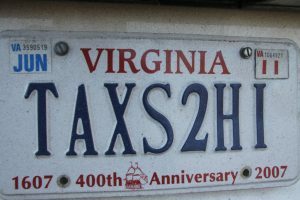 People around the United States are in a last minute flurry to find their W2s, 1099s, 1098s, and find the easiest and cheapest way to load all of that onto a 1040. If that sounded like a foreign language to you, don’t worry. Here are some of my favorite tips for navigating tax season. I guess if you are reading this, you probably already missed this one. But there is no time like the present to start planning to avoid next year’s procrastination. I sent my taxes to my accountant around the end of February. Avoiding the stress of last minute filing can do wonders for your health and sanity. Planning ahead and filing early just makes life easier on you. · 1099 – Miscellaneous income forms. These include bank interest, investment income, and freelance income. · 1098 – Deduction forms. If you pay mortgage interest or higher education expenses, expect 1098s that you can use to lower your tax liability. · 1040 – This is the form that you submit to the IRS that summarizes your annual taxes paid, taxes owed, and any refund or additional payment. My taxes this year were two inches thick. Getting everything from my banks, investments, employer, and other income sources is a chore on its own. To stay organized, I made a checklist outlining everything I was expecting and marked forms off as they arrived. When the form arrived, via mail or online, I filed hard copies in manila folders by type. My personal forms went into one folder and each of my side income sources had its own folder. Make sure to keep each year separate but filed away in case you need it. It is important to understand how long to keep bank statements and other financial records. You pay taxes every time you get a paycheck. You earn money all the time, and you might not remember it around tax time. To make sure you file correctly and avoid penalties and audits, you should understand how your taxes work. Take time to learn about itemized deductions versus the standard deduction. Take time to learn about tax brackets. Whether you use tax software to file or have an accountant take care of it for you, you should understand the complexities of your taxes in case you are contacted by the IRS and to make sure you are not overpaying. Now that you know my best tips, get those taxes done. The filing deadline is swiftly approaching, and you don’t want to get in trouble for being late. Our normal Friday Blog Post of the Week! segment will return next week. The Roth IRA is a Swiss Army knife for financial success. In our past wildly exciting posts about the Roth IRA here and here, some of the commenters on these stories have discussed the efficacy of the strategies presented by the Other Guy. In short: is it worth all the trouble jumping through hoops to get as much money into the Roth IRA as possible? While I’ll agree that if the only upside to these strategies are immediate returns on a few exotic Roth IRA gyrations, you’ll only gain a few extra dollars in your pocket for what seems like a lot of work. …and I get exhausted switching television channels, so let’s not talk about work. I prefer easy and exciting. The Roth IRA has one exciting feature beyond those we’ve listed previously—flexibility later in your planning. When I read well-meaning blog posts about retirement or education planning (including my own), the writer always discusses assumptions. You know what happens when you assume…but what choice do we have? We’ll have to assume that the tax rate will go up/down/stay level. We have to project inflation rates. Back on point: Roth IRA plans, for those of you uncomfortable with this type of tax shelter, give you no tax break today but offers tax free income down the line. Many (yawn) dissenters say that tax treatment of a Roth IRA is irrelevant. You’ll pay the tax today or tomorrow. It’s all the same. – I’ve done what I can to maximize deductions today. I know what tax rates are right now, so I’ll take my tax break, thank you. – I’m not locking up money unnecessarily for down the road when I’m experiencing short term needs for cash. When you reach retirement, let’s pretend you want to live on $60,000. Tax brackets in America are tiered, meaning that you’ll pay 10 percent on the first dollars you make, until you hit the 15 percent bracket, which is what you’ll pay beginning with the first dollar in that bracket, until you reach the 25 percent bracket…..
Because we don’t know what tax brackets will be in the future, let’s pretend the 25 percent line will be at $50,000. Most people have a pre-tax retirement plan. As I mentioned, I like my current pretax deductions, so I’ve maximum funded those. Therefore, I have monster amounts of money (otherwise known as oodles) inside of them. These dollars must come out of the plan and get taxed. I’ll remove $50,000 per year from this plan. Some of it will be taxed at the 15 percent bracket and some at the 10 percent bracket. Finally, I remove $10,000 from my Roth IRA. Now I’m living in the 25 percent tax bracket but the government is taxing us at the top of the 15 percent bracket. 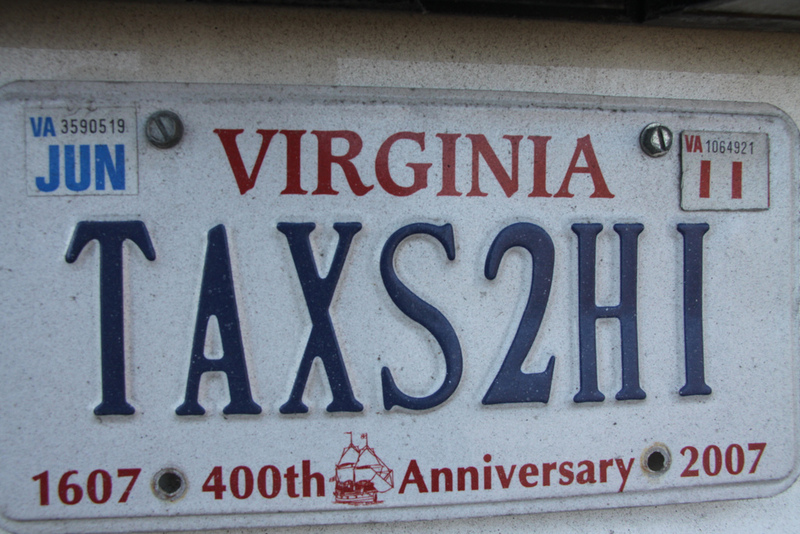 Now, I’ve avoided a 25 percent tax each year (or whatever my top tax rate would be….) on $10,000, or $2,500 in taxes. Of course, I paid those taxes already, but remember, if I’m worried about the HUGE AMOUNT OF WORK this takes, I’m only investing money after I’ve already secured current tax breaks.